From Brooksville, take Rt. 50/98 east past I75 to US19. Take SR 19 north, approx. 7. 5 miles past the Florida Turnpike. Look for the resort on your lefthand side. Go to US27. Take US27 through Clermont to SR19. Take SR19 north approx. 7 miles past the Florida Turnpike. Look for the resort on your left hand side. Take US 27 north to SR 19 north. Follow the signs, taking SR 19 north 7 miles to the golf resort on your left. We had an excellent time at Mission Inn Resort. The people there were very friendly and our golf experience was very, very good. Food was also excellent. Great property and wonderful golf experience. Super service, very good conditions and the history of the course make it a must play. Not far from Orlando but worth the drive. We considered it the overall best value of all the courses we played. Love, love, love this course. So looking forward to playing it again. It was in very good condition the week I was there. Toughest of the 2 courses at Mission Inn. Course was in good shape but the water took a lot of our shots. Would definitely like to golf this course again. Great golf course certainly a challenge, great experience. Classic, challenging but very playable. Water and green side bunkers always present but plenty of room to have a great round. Red tees are very generous. Well maintained with a helpful staff. I give it 5 stars and hope to be back soon to play it again. Great facility....a little of the path but definitely worth the trip. It was our 1st season @Mission inn El campeon, and the course was in great shape. Up and down, very interesting experience in Florida. We?ll be back next year! First time playing this course will be back again, all the the guys love this course, a little drive from reunion but well worth the drive . Very scenic course. Bit of a drive but it is a nice course. Outstanding course. Great layout, interesting holes- great shape-huge elevation changes. This course does not take second behind Disney Palm or Magnolia. Play it you will love it. The course was fantastic and would definitely go back. Great golf resort ....in perfect shape...but too tough for a golf group. Great course with unique undulations for a Florida course. Would play again. If you haven't played this course you are missing a great experience. Lots of elevation changes, great shape, great practice facility. Our group loved this course. Really fun course. Tough as hell but worth it. Greens were amazing. Love the elevation changes. Can't wait to play again. Beautiful, ancient design running up and down the walls of a valley that runs through the course. Total eye-candy from numerous elevated tees, and sets up a lot of really interesting approaches to greens. Challenging to be sure, but extremely fair. Conditions were excellent, and the staff was extremely friendly. Very challenging, but a beautiful and fun course. New favorite course in the Orlando area. This was the best course of all we played. Beautiful course, well maintained, and the people there were great.We plan on going back to Mission Inn and spending the hole time there. Great place. This course condition is very good, lot of challenges and worth the money. Played Mission Inn El Campeon course for the first time and our group found it an excellent track. A little bit of a drive from Orlando area but well worth the trip!! Mission Inn was great. Golf courses were good and the staff and people were very friendly. Great course. Very nice to play! Fantastic courses, great nature worth the ride. The group loved these two courses. Excellent condition with accommodating staff. Enjoyed the course's for the second straight year. Will most likely play again. Recommend for any level of player. Enough tees to accommodate everyone. Excellent course, management was very helpful and worked with us to make sure we got 36 holes in. I had played Mission Inn, El Campion, several years ago so we were going to take a pass.... sure glad we went because it was even better than I remembered and was our favourite by far of the seven course we played. Greens were fabulous and the elevations are amazing! Mission Inn was our first time - and everything went smoothly. It is great to play 36 and not have to travel between rounds. I believe we will keep this in our yearly rotation. Great trip to the country and well worth it. Change in elevation makes it a challenge for all golfers. Great layout and greens. I also recommend the breakfast before you tee off. Great staff and food. Played as second round. Very nice course.Groups moved at a good pace. Less than 4.5 hrs. We been coming to Florida for 17 yrs. and this might be one of the best we've ever played. A terrific course. Definitely our favorite on the trip. The elevation changes from tee to green are not what you typically find in FL. Everything was nice here. The food in the clubhouse was really good and the prices were good. We will be back! Nice course. As a northerner like the hills and elevation. Something you don't get much in FL. Love to see a PGA event there if they ever have one. This course was fantastic with some of the best greens i have ever played on. We played this course 18 years ago and returned toplay it again. It's challenging and still fun - with a lovelysemi-rural location. Would definitely return again. Very challenging course - but beautiful. Deadly slopeand fast greens. If you want to play a course that is different from other Florida courses this is the one! A challenging course requiring you to use all your clubs. If you have played Mission Inn El Campeon, we would like to hear from you. Includes club storage and cleaning, locker room access, and range balls. El Campeon, or "The Champion," was built in 1917, making it one of the south's oldest golf courses. Course architect Charles E. Clarke, of the famous Troon Golf Course in Scotland, took advantage of the natural rolling landscape to create a 7,003-yard monster with the highest elevation change (85 feet) of any course in the state. 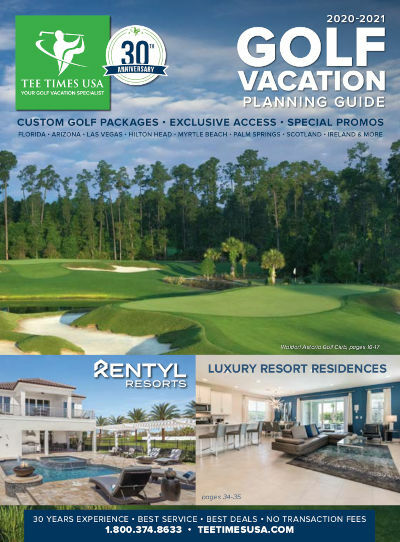 Consistently ranked in the Top 10 of Florida's 1,500 courses, rated with Zagat's America's Top Golf Courses, El Campeon was recently named Florida Course of the year by the National Golf Course Owners Association. The course's signature 17th hole, dubbed "Devil's Delight" by its admirers and detractors, is a par 5, 556-yard double dogleg with a green guarded by bunkers and a pond.